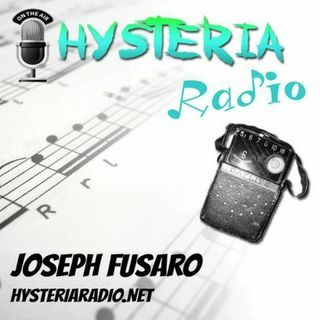 Writer, Composer, Musician, and Advocate Zak Sandler hangs out with Joseph Fusaro and Hysteria Radio to talk about the intitial onset of bipolar and then how he turned the diagnoses into fuel for his writing and advocacy. Zak is very honest and open about his symptoms, hospitalizations, and the changes he had to make in order to take back control of his life. Prepare to be inspired. Zak Sandler plays piano on Broadway for WICKED, and has played on Broadway for ... See More MOTOWN and THE COLOR PURPLE. He was a composer at the Johnny Mercer Songwriters Project at Northwestern, and won the Fenno Heath Award for writing a new Yale song. His work has appeared at Lincoln Center, Joe’s Pub, and Signature Theater in DC. He has the stage rights to create a musical adaptation of the dystopian young adult novel, THE CITY OF EMBER, along with Adele Powers and Ali Keller. Zak’s and Adele’s previous show, ANTHEM, ran at the 2014 New York Fringe Festival and at the Chicago Musical Theater Festival. His newest musical, INSIDE MY HEAD, about a young man confronting a mental condition that drives both his creativity and his psychosis, will be presented at NY Theatre Barn in Fall 2018. He is also creating a docu-series that highlights the link between creativity and mental conditions, called “Insanely Talented”. Zak is an avid speaker about his own bipolar, having presented at the 2017 NAMI National Convention in Washington, D.C. and at the 2017 NAMI New York State Education Conference in Albany. He believes that being open about his own condition is the best way to destigmatize it.